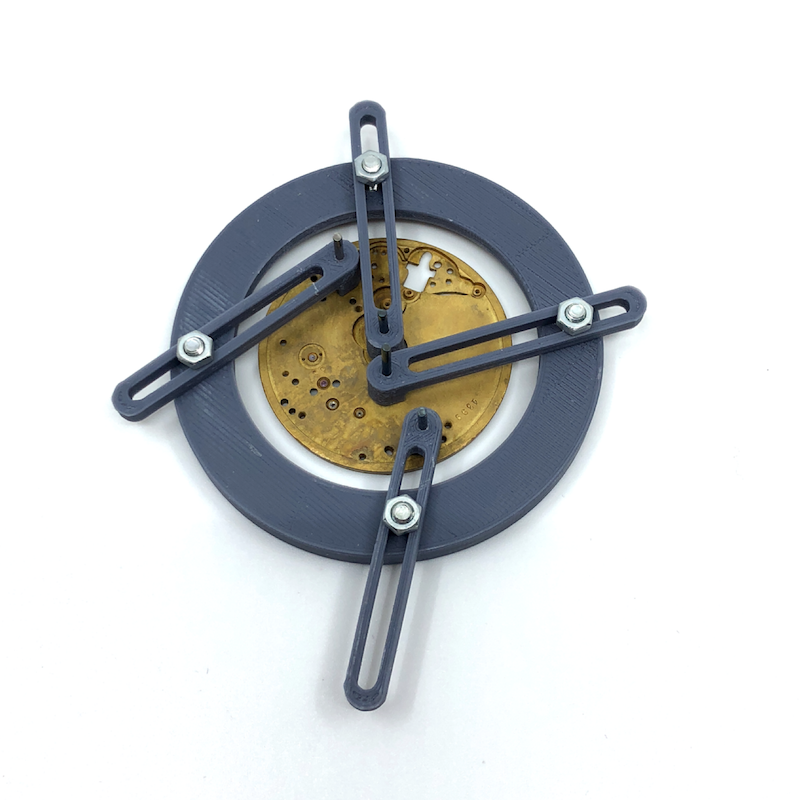 Dial feet position gauge, 3D printed - Helicopters, pocket watches, helicopter flight simulation and more. Dealing with old watches often brings the problem to make a new dial and therefor to find the exact position of the dial feet and hand axis positions. This is my solution for this task. I constructed myself a gauge with four arms which each hold a standard scriber needle. The arms are secured with M3 standard screws. All parts are printed with my little RF100 3D printer.